3-days, 3 races and 3 incredible experiences, Big Sky Montana hosts the Run the Rut weekend of racing. If ever a race weekend existed that should combine with a holiday experience, this is it, Big sky is located between the idyllic town of Bozeman and the iconic Yellowstone Park. The isolated Lone Peak mountain provides a stunning backdrop for the Run the Rut races of VK, Sky and Ultra with all races climbing to its summit via technical ridge and difficult climb. Utilizing what would be ski runs in winter, it’s easy to understand why the Rut has gained a reputation for providing a tough and technical test even for the most experienced runner. The VK is the next race in the new VK World Circuit and this race takes place on Friday September 1st. The Sky Classic and Ultra continue the 2017 Migu Run Skyrunner World Series taking place on Saturday 2nd and Sunday 3rd respectively. The Rut races have become flagship races in the USA. And are the only US based races in the 2017 Migu Run Skyrunner World Series. This is primarily due to the technical nature of the trails. You see, access to open land and mountains is not the same as in Europe. Strict land management is in place and ‘off-trail’ races just don’t exist. The Rut have managed to work around this by using the Big Sky resort which does not have to comply with land permission issues. The VK kicks off the action from the Big Sky Resort up to the summit of Lone Peak at an altitude just short of 3000m gaining 3,632 feet in just over three miles. The SkyRace is the most pleasing race of the Rut weekend as the proportion of vertical gain and technical running all blend together in the most logical and pleasing course. The men’s race has all the makings of a classic with some serious competition coming from Aritz Egea who is looking for 2017 SWS victory – he raced last weekend in Switzerland and will be tried. But Jan Margarit is a man on form with victories at the Dolomites SkyRace and Comapedrosa, for me, he is the odds on favourite for victory! Remi Bonnet has won in the USA in past years and is the likely contender to give Margarit a tough run. However, Pascal Egli is having great year and he will no doubt be one to watch. Eugeni Gil Ocana is on fire in 2017 and if he is not too tired after placing 2nd at Matterhorn Ultraks, he is a likely podium placed finisher. Expect strong competition to come from Julien Martinez, Oscar and Marc Casal Mir, Sintu Vives, Marc De Leon, Eduard Hernandez, Pere Rullan and Dai Matsumoto. Laura Orgue is the hot favourite in the ladies’ race having raced well multiple times in 2017 – victory at Dolomites SkyRace and 2nd place in Comapedrossa. Hillary Gerardi has been a revelation in 2017 with a string of strong and consistent performances. Addie Bracy, Glykeria Tziatzia and Jennifer Asp (still not sure if she will run the Sky or Ultra) are also podium contenders. The long course gains over 3000m of elevation and as with all the other races visits the summit of Lone Peak. The men’s race is an interesting one with Luis Alberto Hernando missing UTMB to run here in the USA and gain valuable points for the SWS. Competition for the Spaniard will no doubt come from Italian Franco Colle who has excelled on this course in the past editions. I have also had conformation that Timothy Olson and Seth Swanson will also toe the line here at the RUT making the fight for the 50km very competitive. Olson is back to his old days with some great form as of late, he placed 10th at Transgrancanaria, 4th at Power of Four and he won Penyagolosa in Spain. Equally, Swanson is back on a roll with 4th at San Fran 50 in December 2016, 6th at Hong Kong Ultra 100km early 2017 and 2nd at Lavaredo recently. Matt Shyrock returns after success in the 2015 racenand a recent run at Tromso SkyRace. Pere Aurell Bove is having a great year but just last weekend raced in Switzerland at Matterhorn Ultraks – he will be tired! Australia’s Caine Warburton will be a contender for the podium as will Johan Lanz from Sweden, Russia’s Dmirtry Mityaev, Czech Republic’s Robert Krupicka and the Portugal’s Andre Rodriguez. Peru’s Remigio Huaman always runs strong and he along with Kiril Nikolov from Bulgaria round off the main protagonists for the podium. The ladies’ race is headed up by Ragna Debats who won last weekend’s Matterhorn Ultraks. Ragna is on a roll at the moment and in great form but two 50km races in 7 days and a long-haul flight will no doubt take its toll. Strong competition will come from Michelle Maier, Ekaterina Mityaeva, Kristina Pattison and Jennifer Asp. Race summaries and images will be posted on this website after each race. The Matterhorn provides a stunning backdrop for Switzerland’s Matterhorn Ultraks race, a 49km Skyrunning race with 3600m of positive and negative gain. Now in it’s 5th edition, the race once again is in the Migu Run Skyrunner® World Series. It is a magical race that provides a circular journey that starts and concludes in the picture postcard mountain town of Zermatt with the towing Matterhorn ever-present to inspire the runners. The day started with rain and cloud. It was an ominous beginning. But by the time the runners had reached the high-point of the course at thee Gornergrat, the rain was easing, the cloud was clearing and suddenly the sun broke through. What followed was a glorious and hot sunny day. Whispy white clouds penetrating the blue of the sky, we all knew though that it wasn’t going to last… with 2 hours of running the sky turned grey, the rain arrived and low mist enveloped the mountains; the beautiful Matterhorn was gone! Wild expansive space, high mountains and the 3100m Gornergrat provides the high point of the race and the first indication of how the race would play out. Marco De Gasperi was pushing the pace closely followed by Aritz Egea and Eugeni Gil. In the ladies’ race, Ragna Debats was already dictating the race and the pace but Sheila Aviles and Laia Andreu were very close and chasing together. A 1000m drop from the summit is broken by a small climb at Riffelalp and then Furi follows at 24km at 1880m. Two short sharp climbs follow, the first to Schwarzsee at 2583m and approximately 28km covered. Here De Gasperi was leading Gil Ocana, Anthamatten and Egea – it was all too close to call! For the ladies, Debats was still at the front, but like the men, anything could happen. A drop down to 2200m from Schwarzsee was followed with another 500m+ climb and then what follows is mostly a flat runnable plateau that gently weaves up, down and left to right all the way to Trift. De Gasperi had taken the lead now and was flying, Gil Ocana chased but the Italian was looking too strong – he really wanted this victory, it was clear to see. Anthamatten was now in 3rd and Egea in 4th. A short kick up of 100 to 200m follows Trift and then a fast and furious drop of almost 1000m over a distance of 6km leads to the finish line in Zermatt and the assembled crowds. De Gasperi sealed victory in a new course record, bettering Kilian Jornet’s time and this 2017 course was 1km longer – an incredible run. Gil Ocana held on for an excellent 2nd and Anthamatten placed 3rd. Once again Egea ran an excellent 4th place. We also witnessed the race of a rising star, Petter Engdahl who placed 5th. Debats finally managed to open a gap in the latter stages taking a convincing victory ahead of Laia Andreu who had shadowed Debats all the way to Trift. Aviles placed 3rd followed by Laurance Yerly and Michaela Mertova. Skyrunning is not just about the uphill and more often than not, it’s the downhill that determines the winner. Today was all about patience and consistency. Racing is often a mental journey as much physical, De Gasperi and Debats today proved this at the Matterhorn Ultraks. Episode 141 of Talk Ultra is all about inspiration and fighting back! If episode 141 doesn’t make you look at yourself and your running then we have failed as a podcast… We bring you a full and in-depth interview with Dave Mackey who had an accident whilst running and recently made the decision to amputate his leg… We have a surprise guest appearance with Hillary Allen. We also speak with Kelvin T Reid who in 2016 was diagnosed with ALS and continues to run ultras. Speedgoat is also here to co-host! Talk Ultra needs your help! We have set up a Patreon page and we are offering some great benefits for Patrons… you can even join us on the show! This is the easiest way to support Talk Ultra and help us continue to create! 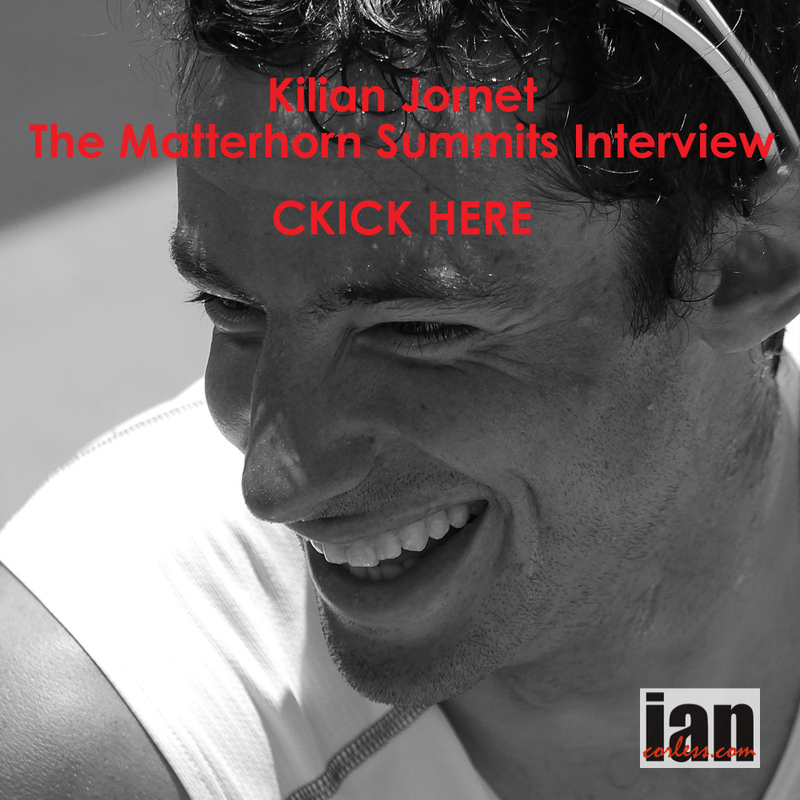 The 44th edition of the race in many ways proved that Kilian Jornet is THE best mountain runner in the world, from a one armed victory at Hardrock to a 2:33 victory at this iconic fast race. Robbie Simpson from the UK was 2nd just 14 secs behind and Max King 3rd in 2:34. For the ladies it was Lucy Wambui Murigi (2015 champ) who beat the 2016 champ Michelle Maier by 6-minutes – 2:58 to 3:05. Ammandine Ferrato 3rd at 3:09. Jason Kinsella won the men’s race in 55:49 and Van Phan the ladies in 72:22. Christi Richards and David Sinclair won the 33rd edition of this classic (comparable to Sierre Zinal). It’s 19.65 mile course and the times were 3:06 for the men and 4:10 for the ladies. Ian Sharman does it again in 17:34 (his 4th) and I have to say, I think it is time that Ian moved on and picked another race… in past year’s he has sone hard battles but now he is heads and shoulders above the rest… David Tierney was 2nd and Michael Hewitt 3rd, both over an hour back 18:32 and 18:59. Devon Yanko had a great victory in 20:46, Simona Morbelli 2nd in 21:16 and Christy Burns 3rd in 21:43. Joe Gray did it again in 2:08 ahead of Touru Miyahara and Seth DeMoor 2:18 and 2:21. Serkalem Biset Abrha won in 2:42 with Anna Mae Flynn and Addie Bracy 2nd and 3rd. Remi Bonnet had a clear victory in 3:37 – for perspective, Matt Carpenters record is an incredible 3:16. Kristina Mascarenas won the ladies race in 4:09 and Courtney Dauwalter 2nd with Jackie Pirtle-Hall 3rd. Hillary is back home in the USA and recently had another operation on her arm and on her foot. She has a long way to go but the smile is back and she is focussed on recovery. She thanks everyone for all the best wishes and of course, we will support and help Hillary every step of the way. Ida Nilsson set a new CR in 6:51 ahead of Johanna Bygdell and the UK’s Jo Meek. Elon Olsson won in 6:07 and Patrick Reagan from the US was 2nd just 1-min back and Henri Ansio 3rd. Many variations of the race so please check the website for the full results. 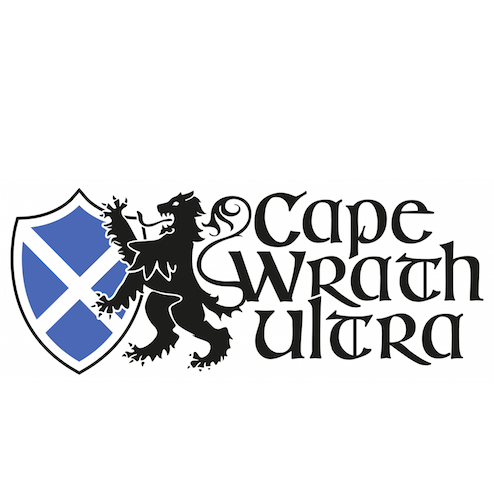 Charlie Ware and Catlow Shipeck won the 6-day and for the ladies Amanda Basham and Kelly Henninger, times 16:45 and 19:19. The solo 6-day race was won by Magdalena Boulet 19:00 and Chad Trammell for the men 15:28. Mike Murphy and Lisa Polizzi took top honours in 8:10 and 9:52. It is going to be one hell of a race! Preview HERE. Kelvin Reid, also known as the UltraCowboy. In October 2016, Kelvin was diagnosed with Lou Gehrig’s Disease (also called ALS). And use good old word mouth. Importantly, go to iTunes and subscribe so that you automatically get our show when it’s released we are also available on Stitcher for iOS, Android and Web Player and now Tunein. Our web page at www.iancorless.comhas all our links and back catalogue. Please support Talk Ultra by becoming a Patron at www.patreon.com/talkultra and THANKS to all our Patrons who support us. 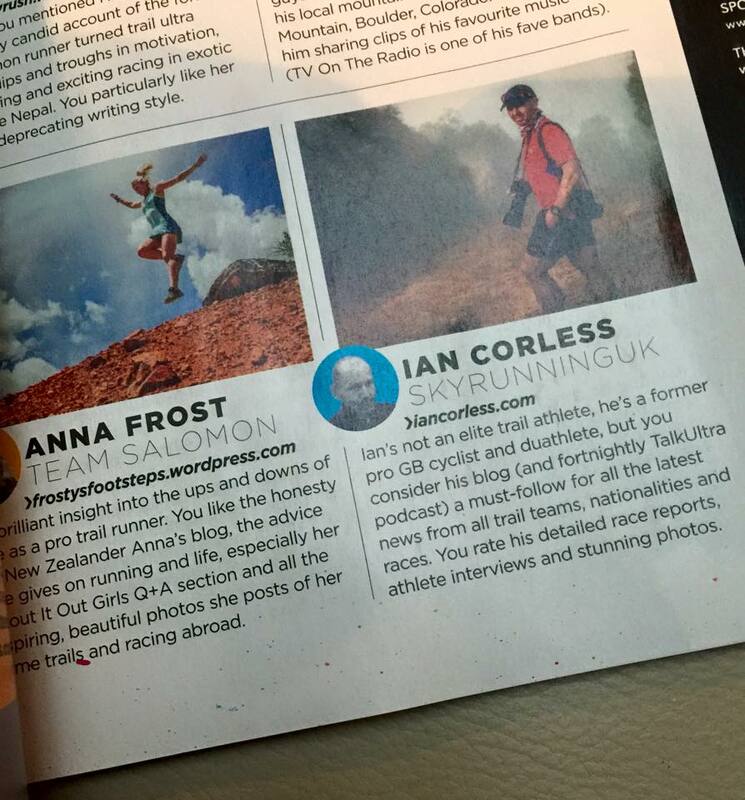 Rand Haley and Simon Darmody get a mention on the show here for ‘Becoming 100k Runners’ with a high-tier Patronage. The stunning Matterhorn provides the backdrop for Switzerland’s Matterhorn Ultraks race, the next race in the 2017 Migu Run Skyrunner World Series – a 48km race with 3600m of positive and negative gain. A magical race, now in its 5th edition that provides a circular journey that starts and concludes in the picture postcard mountain town of Zermatt. Eight out of eleven Sky Classic races have been completed and Matterhorn Ultraks counts for a 20% bonus on points, so, it is all to fight for. Wild expansive space, high mountains and the 3100m Gornergrat provides the high point of the race where the ever present lone peak of the Matterhorn shadows the race and runners with it’s majestic beauty. Zermatt, located 1600m above altitude provides the focal point for this high altitude race, a beautiful place steeped in history. It’s a logical start and finishing place for such an iconic race. Renowned for its tough opening kilometres, the Matterhorn Ultraks immediately heads to the sky via Sunnegga at 2260m all the way to the high point Gornergrat at 3130m. It’s a brutal 14km to open any race and as such, those opening km’s can be decisive in who crosses the finish line first. Aritz Egea has been on fire in 2017 and he is looking to better his 3rd place of 2015. He needs the points but it has been a long season. Marco De Gasperi pioneered those early Skyrunning days with Giacometti in the early 90’s and he is still running head-to-head with the best in the world and matching them, he was recently pipped to the top-slot at Dolomites SkyRace and Comapedrosa. 2015 champion and designer of the course, Martin Anthamatten will be fired up for victory, especially after his recent success at the Red Bull 3000m vertical race – he is in great shape and knows the course like the back of his hand. Jon Albon, Skyrunner World Series Extreme champion in 2016 and recent winner of the Tromso SkyRace is toeing the line here isn Switzerland. He is incredible talent but this race may well lack technicality for Albon to excel, he will be in the mix for sure, but the top-slot maybe a tough call? Aurelien Dunard-Pallaz had an incredible race at Ultraskymarathon Madeira – he lead the race from the front only to be passed in the latter stages by Albon. He also had a great run at High Trail Vanoise giving Luis Alberto Hernando a push all the way to the line. He has come of age in the Skyrunning Series this year and we may well see the Frenchman achieve another podium place in Switzerland. Equally, Pere Aurell has stepped up to the plate in 2017 kicking off the season with a strong run at Yading SkyRace in China and then an excellent run at the Royal Gran Paradiso. Aurell has raced a great deal in 2017 and he may well be feeling some fatigue but he is strong and motivated. Andre Jonsson just keeps racing and racing. He has had a gap from racing recently and we may well therefore Jonsson fresh for the Ultraks race. He is always in the mix and earlier this year he had some excellent top placings, the best coming at the Royal Gran Paradiso just 1-week after a great run at High Trail Vanoise. Hassan Ait Chaou has always run well in Zermatt, particularly last-year when he pushed for the podium. This year his form seems a little below his 2016 levels but on this course I wouldn’t rule him out of something special on the day. Murray Strain may well be a surprise package in the race and he will almost certainly not be on the radar of the top runners going valuable points – don’t be surprised if he makes the podium! As always, the depth of talent in Zermatt is deep, surprises can come from anywhere, two names worth keeping an eye on are Benat Marmissolle and Marc Casal Mir. Can anyone beat Kilian Jornet’s 2013 time of 4:43:05? The ladies race will be an interesting one with Megan Kimmel, Stevie Kremer and Elisa Desco not racing – all ladies who have excelled in past edition, Kremer still holds the course record 5:18:43 set in 2014. However, Ragna Debats is on fire in 2017 with a string of top results, the most recent coming in Tromso when she was just a few minutes behind Maite Maiora. Debats recovers well and I am sure she will be the lady to beat in Zermatt, the course will suit her, her run ability matches her technical and climbing ability. Rising star Sheila Alves will have other ideas… her podium at Zegama-Aizkorri and recent victory at Comapedrosa has left her wanting more and she will almost certainly be Debats biggest rival. Paloma Lobera and Michaela Mertova are podium contenders and then it is wide open. The potential threat from Megan Kimmel, Laura Sola, Aziber Ibarbia, Maria Zorroza and Ekaterina Mityaeva has disappeared in the last week due to injury or sickness. The ladies race is wide open! The 2017 edition of the race has had a slight course change adding an additional kilometre to the race, so, finish times will need to take this into consideration, particularly with course records. The race starts 0730 on Saturday August 26th. Five results out of eleven are counted for the final titles and end of season bonus prize for the Migu Run Skyrunner® World Series category. The 2017 UTMB is upon us and yes, it may well be the best line-up ever for this big loop of France, Italy and Switzerland which starts and finishes in the iconic mountain resort of Chamonix shadowed by the impressive and iconic Mont-Blanc. The race for many has become the race to do and this is reflected in the growth of the main race, the UTMB and the growth of the sister events – TDS, CCC, PTL and the recent addition of OCC. Departing at 1800 hrs on Sep 1st, the UTMB race goes in a loop via Les Contamines, La Balme, Les Chapieux, Lac Combal, Col Checrouit, Courmayer, Refuge Bertone, Refuge Bonati, Arnouvaz, La Fouly, Champex-Lac, Plan de L’au, Trient, Vallorcine, Col Des Montets, La Flegere and finally Chamonix. The route is 171km in length with 10.000 mt of vertical gain and a maximum time limit of 46-hours and 30-minutes. 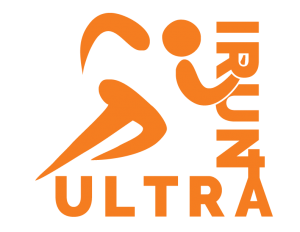 2300 runners will toe the line for the 2017 edition, it is part of the Ultra Trail World Tour (UTWT). The ladies race will once again be an interesting one with the return of the 2016 champion Caroline Chaverot, 2016 2nd place, Andrea Huser, 5th placed Magdalena Boulet, 8th placed Kaori Niwa and 10th placed Sophie Grant. However, this only provides a small glimpse of the potential top-10 for the 2017 UTMB. Nuria Picas, Stephanie Howe (now Violett), Emilie Lecomte, Fernanda Maciel, Kaci Lickteig, Gemma Arenas are without doubt contenders for the top positions and yes, victory. Also keep an eye on a couple of dark horses, in particular Beth Pascall from the UK. On 2016 and 2017 performances, Caroline Chaverot is the head and shoulders favourite for 2017 victory. Her recent win at Hardrock 100 was super impressive and although 2017 started with a glitch at Transgrancanaria, Chaverot is now back in winning ways and looks set to match her incredible 2016. For me, she is the best female ultra-runner in the world at the moment. Andrea Huser just races and races and last year came very close to Chaverot, 25:15:40 to Huser’s 25:22:56. In all honesty and no disrespect to Huser, this closeness was due to Chaverot having problems and not Huser speeding up. In reality, I think Chaverot can (and possibly will) win the UTMB with a clear 1-hour margin. Can Huser place 2nd again? Yes for sure, however, she will have her hands full. Nuria Picas has all the potential to win the race but I am not convinced that she has 25 hours of running in her at the moment? She just placed 3rd at Tromso SkyRace which was a great training day but UTMB is going to require a completely different strength. Magdalena Boulet is going to know what she is in for this year and therefore may well have a better race. She placed 2nd at Western States and in the following weeks and months has recovered and prepared for the big dance in France. I think we may well see her on the podium this year! Kaci Lickteig and Stephanie Howe Violett were hot favourites for Western States and they both had tough days. Lickteig has said in advance of this year’s UTMB that she is not here to race. Howe Violett though will be here to race and for me she is a hot favourite for the podium and should all things align, she is a potential winner. She was 8th in 2015. The UK’s Beth Pascall may well be the surprise package of the 2017 race taking the American’s by surprise and yes, even the Europeans. She is a great long distance runner and loves mountain terrain. She is also a great 24-hour runner and that is a key feature for the UTMB – running 100-miles at UTMB is not the same as running 100-miles on another course. Jasmin Paris placed 6th last-year and I think Pascall can match this and potentially go top-5. Emilie Lecomte, Fernanda Maciel, Kaori Niwa, Aliza Lapierre, Gemma Arenas, Yulia Baykova, Sophie Grant, Amanda Basham, Amy Sproston, and Joelle Vaught are all potential top-10 runners amongst a very competitive and stacked field. Ludovic Pommeret took victory in 2016 in 22:00:22 and was followed by Gediminas Grinius, Tim Tollefson, David Laney, Javi Dominguez, Zach Miller, Sebastien Camus, Julien Chorier, Giulio Ornati and Juan Maria Jimenez. A stout top-10 of which we see many return. The 2016 race was interesting one that saw Miller go off at a reckless pace, blow-up, recover and somehow manage to finish 6th. We also saw how pacing and patience is a key element for a successful UTMB, completely reflected in Pommeret’s victory – he was in the lead early on, he dropped to 50th about 25% in the race and then somehow came back! With such a stacked field one if the biggest questions will be, ‘who will make it beyond Courmayer?’ As in previous years, many hot favourites will fall by the wayside with pressure on a pace that is too fast early on. I said in the ladies preview that running 100-miles (more actually – 172km) at the UTMB is not the same as running 100-miles say on a typical US course. I think this can be clearly explained when one looks at say Anton Krupicka. He had success and results at 100-miles that took 14-16 hours, UTMB requires a minimum 20-hour effort and in reality a 20-24 hour effort if you are going to be top-10. This makes a huge difference and therefore, I will put my neck on the line now and say that Walmsley, Miller and Canaday will struggle in the final 25% of the race. I am jumping ahead though. With a certain Kilian Jornet returning to the race, I do believe that everyone else is running for 2nd. This is not something that I ever like to write but with all due respect to the rest of the competition, if Kilian is on form I just don’t see anyone coming close. I will also say, that if the weather conditions are good, we will see him not only win the race but I do think we have the potential of a 19-hour finish and a new course record. Jornet is coming back to this race for one reason – the race! He wants the competition, he wants to be pushed and he wants to be the best of the best. Victory will be a priority and then a CR if that is feasible and possible. Jornet does have three teammates toeing the line and they are a formidable quartet of Francois d’Haene, Tofol Castanyer and Miguel Heras. All four of these guys can win the race and in particular, d’Haene is an odds on favourite to push Jornet and should the Catalan falter, he will be there to take over the reigns. In terms of strategy, I see the Salomon quartet running together in the first 50% of the race behind the front but close enough to pounce should they need to. Jornet will be chatting and looking for company before he and d’Haene pull away in pursuit of the front. In the latter 20/25% of the race, Jornet will pull away, catch any front protagonists and take the win. Castanyer and Heras may well be top-10 with d’Haene 2nd. They have all the potential to go 1,2,3 as in 2014. I make it sound easy don’t I. It’s 100-miles and therefore of course it is not! Anything can happen. Jim Walmsley and Zach Miller are no doubt going to head up the front of the race, however, if they have learnt from previous exploits it would make sense that they reign themselves in over the first half of the race. Their fans will want them to go hard or go home, but, if either of them want to win the race, patience will be key. I see Miller having the edge over Walmsley. We all know Walmsley can run fast – really fast. He proved this recently at Speedgoat 50k but that race is 50k and not 172k! Miller has been injured and of course this may well impact on his ability to have a good race in 2017? The strongest potential for US success will come from Tim Tollefson (3rd in 2016), David Laney (4th in 2016), Jason Schlarb, Dylan Bowman, Jeff Browning, Sage Canaday and Western States 2016 champ, Andrew Miller. That is one serious US line-up and if Jornet wasn’t running, I would have potentially said that 2017 was the year when we could see an American win the men’s race! Tollefson missed 2nd last year by just 4-minutes and Laney 3rd by 11-minutes. It is worth noting though that the winning time in 2016 was almost one hour slower than in 2015 when Xavier Thevenard ran 21:09. That is significant especially with Jornet and d’Haene racing! BUT, think back to 2014 when d’Haene won in 20:11:44, Castanyer 2nd in 20:55:42, Iker Karrera 20:55:42 and Jason Schlarb 4th in 21:39:44. The top-3 (all Salomon) went under Thevenard’s 2015 winning time – that is a wake-up call for everyone racing the 2017 edition! Remember too that the course has changed over the last few years! On paper, based on times, Jason Schlarb has the best potential to impact the podium and his potential may well have increased evermore with his early withdrawal from Hardrock 100 with illness. He is going to be fresh! Tollefson, Laney are the obvious contenders for top-5, they have done it before but Browning is an incredible force over 100-miles – he is patient, loves to climb and he gets the job done. Equally, Bowman is going to be raring to go for this year. We may well see the top-10 full of US runners – it is going to be a great year for them. Luis Alberto Hernando would have been my tip for the podium but he has decided not to race – a real shame. He would have really had am impact on the front of the race if inform. Therefore Xavier Thevenard has to be a key favourite. He is the only person to have won UTMB, TDS, CCC and OCC – impressive! He does blow hot and cold sometimes though, particularly if the pressure is on him. If he keeps a low-profile in the build up to the 2017 race I think will see him once again have a great race. Gediminas Grinius nails the 100-mile distance and was 5th in 2014 and 2nd last year. He will be in the mix for sure but if it is a fast year, I don’t think he has the pace for a 20-hour finish. Didrik Hermansen does have the pace but may not have the endurance, having said that, he won Transgrancanaria and was 2nd at Western States in 2016. Pau Capell has been so consistent and is an exciting prospect at the 2017 UTMB, he won Transgrancanaria and placed 2nd at Madeira Island Ultra Trail – both races taking 13-hours. He is going to need to race for 30% (minimum) longer in Chamonix and that will be a huge learning curve. The UK’s Andy Symonds ran the UTMB in 2016 and detonated, he will be back this year more focused. He has the potential for a great race. Julien Chorier recently participated in Ironman Nice with a 10-hour 22-minute finish – very solid for a tough (bike) course. It’s interesting prep for UTMB but Chorier is a class act and he has been top-10 at UTMB before. He knows how to run the race. I don’t think he has the speed now to be top-3 but he has the staying power and he can pick of places and move up the ranking in the latter stages of the race. 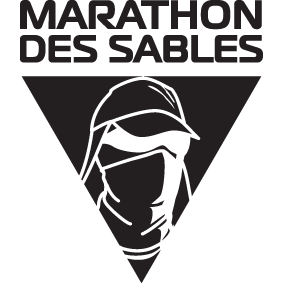 Javier Dominguez, Vaidas Zlabys, Sebastien Camus, Yeray Duran, Scott Hawker, Carlos Sa, Sebastien Chaigneau, Yoshikazu Hara, are all potential top-10 runners… this distance and this race is so unpredictable and it rarely goes to plan or script. From a UK perspective, Casey Morgan, Kim Collison, Damian Hall and Danny Kendall will toe the line. Hall in particular having consistently solid races. What are your thoughts, who are going to be the surprises? 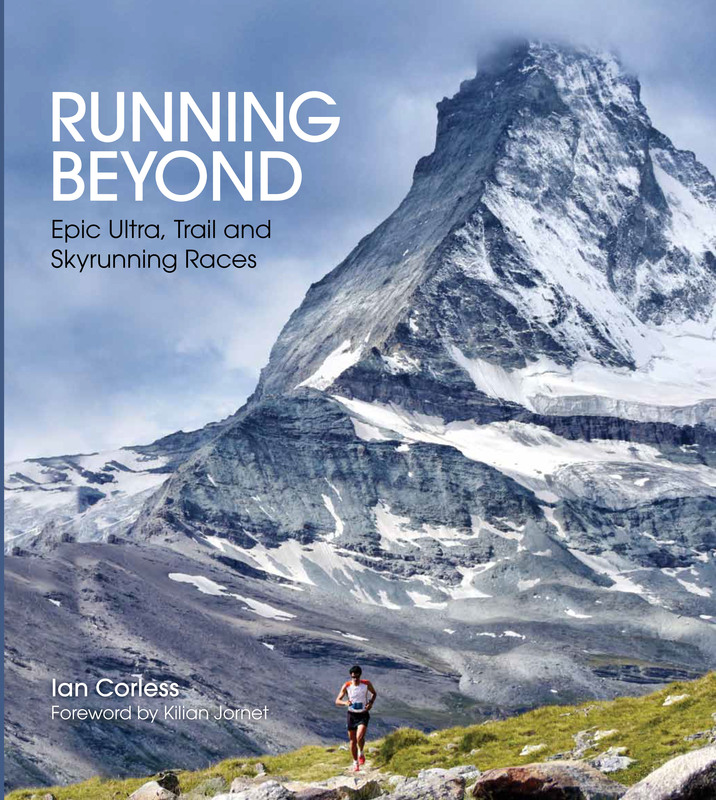 Now in its fourth edition, the race has grown as one of the pinnacle races of Skyrunning. It’s not a race any runner can undertake. The course is 57km in length and a whopping 4600m of vertical gain – but this is only a small part of the story. Featuring two peaks, the Tromso SkyRace is by any standards – extreme! The Hamperokken ridge which is a key feature of the race is at the midpoint of the race and features an exposed, technical and at time knife edged arête that will require even the most experienced Skyrunner to use four-points of contact to traverse the ridge and its summit. 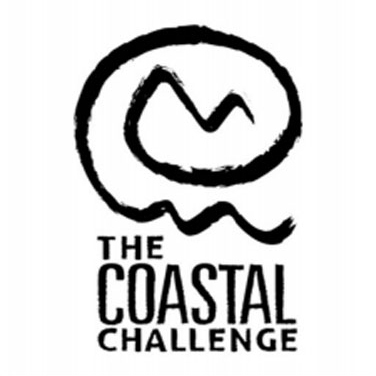 Followed by snow fields, challenging terrain and a steep climb – this race is the ultimate challenge. Episode 139 of Talk Ultra brings and we bring you a full and in-depth interview with Hector Haines who is having a great year in the Skyrunning Extreme Series. We also speak with Ragna Debats about the IAU World Trail Championships and her rise in the Skyrunner World Series. We have the news and Speedgoat is back! Anna Mae Flynn and Jim Walmsley set two new CR’s 6:18 and 5:04 respectively. Kelly Wolf and Brittany Peterson placed 2nd and 3rd for the ladies and Tim Tollefson and Dylan Bowman were 2nd and 3rd for the men. Jan Margaret did it again, he followed up victory at the Dolomites SkyRace with victory here – a star of the future! Marco De Gasperi was 2nd and Run Ueda 3rd. Laura Orgue won the race in 2016 and it looked like a repeat performance when she crested the summit with a strong lead, however, a stomach issue caused problems on the descent and Sheila Aviles passed for victory. Laura placed 2nd and Takako Takamura 3rd. Jared Campbell and Gary Robbins completed in 56hrs 39min after a tough outing. Ikea Karrera set a stunning new FKT 47hrs 40min smashing Andrew Hamilton’s previous best. Jerry Garcia and Rachel Ragona took respective victories ahead of Branden Bollweg and Dominic Grossman for the men and Serena Eley and Diana Treister for the ladies. Petro Mamu took the top slot ahead of Francesco Puppi and Pascal Egli – 3:12, 3:14 and 3:18. Silvia Rampazzo took the ladies’ title ahead of Katie Enman and Denise Dragomir – 3:56, 3:57 and 3:59. Jon Albon did it again ahead of Him Gurung and Michel Lanne – 7:01, 7:11 and 7:27. For the ladies’ Maite Maiora once again took another win ahead of Ragna Debats and Nuria Picas – all three ladies’ under Jasmin Paris’s 2016 CR of 8:42 – their times 8:21, 8:25 and 8:39. Our thoughts and love go to Hillary Allen who took a terrible fall from the Hamperokken ridge. We are pleased to say, it looks like she will have a good recovery. See HERE. The 4th edition of the Tromsø SkyRace®, the second race in the new 2017 Migu Run Skyrunner® World Series in the Extreme category took place today in Tromso, Norway. The brainchild of Kilian Jornet and Emelie Forsberg, you just know it’s going to be possibly one of the toughest races out there. What it lacks in high-altitude it makes up for with relentless tough climbs, technical terrain, exposed ridges, snow and downright toughness. Hundreds of runners departed from the new (2016) start and finish outside The Edge Hotel, Tromso. It must be noted, that this new start and finish adds 8km’s onto the 2014/2015 route. The route takes in 2 mountain summits: Tromsdalstind (1.238m) and Hamperokken (1.404m) – the route very much looks like a figure eight and Tromsdalstind must be run twice; out and back! 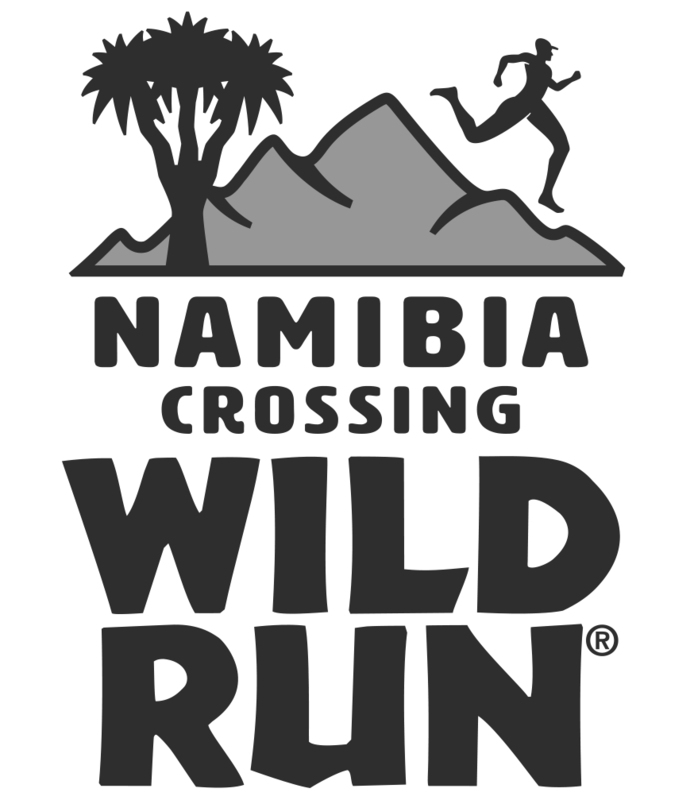 Covering approximately 56km with 4600m of elevation gain, this is not an easy race! The race requires a level of skill, devotion and commitment that not every runner has – it is pure Skyrunning! Skyrunner® World Series Extreme champion and Tromso winner Jon Albon once again dominated this course with a solid performance that left a world-class field chasing. Yading SkyRace winner and Royal Gran Paradiso champion, Bhim Gurung from Nepal put up a great fight for Albon. The duo much stronger than the rest of the competition. The technical nature of Tromso suits Albon and his obstacle racing background, whereas for Gurung it’s a new challenge. Something he learnt last year when he won the iconic Trofeo Kima in 2016 with a course record. Lavaredo winner Fabien Antolinos placed 4th and Reynaud Gael 5th, their times 7:32:06 and 7:32:46 to Lanne’s 7:27:26. The ladies race was dictated by pre-race favourite, Maite Maiora who is having an incredible year. She arrived at Hamperokken ridge in 1st. Looking relaxed and composed but without doubt focused on the technical terrain. Over the final half of the course Maite extended her lead and victory was never in doubt. Ragna Debats followed looking good and Nuria Picas was in 3rd.On the descent, Picas passed Debats who was having some stomach issues. The first three ladies all close within 10-minutes. Maiora though was too strong and maintained a lead at the front and she went on to take victory in a new course record 8:21:21. Debats rallied behind and her stomach issues improved allowing her to once again pass Picas. She was pushing Maiora but it wasn’t enough, she finished 2nd in 8:24:43 (also under the old course record) just over 4-minutes behind Maiora – a great battle! Picas rounded out the podium in 8:39:17 with Malene Bikken Haukoy and Maija Oravamaki placing 5th. One thing is for sure, Kilian and Emelie have created something quite special in Tromso, it has set the stage for the Salomon Glencoe Skyline and the conclusion of the Skyrunner® Extreme Series a race that both Kilian and Emelie will participate in. The ‘Extreme’ series may not be for everyone but Skyrunner’s can dream to achieve the skill level and fitness required to take part in the ultimate mountain running experience. Starting from the sea and climbing directly to the 1044m of the summit of Store Blamann, the highest summit on Kvaloya island, the Blåmann Vertical Kilometer® is everything a Skyrunning race should be and the route personifies the sea-to-summit concept. The terrain twists and turns with a variety of mixed terrain – early stage are soft boggy ground. Huge slabs of rock follow, interspersed with snow and ice, the terrain at times require low grade climbing to cover – it is a race that requires ‘hands-on’ scrambling. Just 20 minutes from Tromso, the Blåmann Vertical Kilometer® is a race that anyone can try and it’s a wonderful introduction to Skyrunning. Kilian playing on the course as he waited for the first runners. As expected, the newly crowned Skyrunning World Champion, Stian Angermund dictated the pace and the race on the steep slopes from the sea. He paced himself early on and then opened a lead over second placed man, Alexis Sevennec. It was a glorious sunny day of blue skies and void of clouds. By the midway point, Stian had a clear lead over Frenchman, Sevennec who looked strong but Angermund was in his own race as he ran all the gradients. At the summit, Angermund crossed the line in 36:59, Sevennec trailed by 1-min 45-seconds and Pierre Mettan rounded at the podium with a convincing lead over Julien Ançay and Adam Jensen. Attention now turns to tomorrow and the Tromsø SkyRace® which will start at 0800 Saturday August 5th. You can read a full race preview HERE. Skyrunning goes EXTREME this weekend with the Tromsø SkyRace® the second race of the 2017 Migu Run Skyrunner® World Series in the Extreme category which also includes the Royal Gran Paradiso and the Salomon Glencoe Skyline in the UK which will take place in September. A weekend of Skyrunning starts with the Blåmann Vertical Kilometer® on Friday and the Tromsø SkyRace® on Saturday – both races are designed by Kilian Jornet and Emelie Forsberg. Tough, challenging, leg hurting, lung busting, the Blåmann Vertical Kilometer® climbs 1000 vertical meters over the short distance of 2.7km. Encompassing the sea-to-sky concept, the race starts on the shores of the sea and concludes at an altitude of 1044m at Store Blåmann. Saturday’s Tromso SkyRace® is an inspiring course that has plenty of vertical, technical terrain, exposed ridges and demanding descents. It covers 53km and has 4600m of vertical terrain, the race really is a challenge for those taking part. The line-up for this year’s race is high quality and will include Skyrunner World Series Extreme 2016 Champion, Jon Albon. Albon was the winner of the race in 2015 ahead of Luis Alberto Hernando. A recent victory and course record at the Ultra SkyMarathon Madeira shows that Albon is in form. Bhim Gurung won the Royal Gran Paradiso recently with a stunning descent in the final kilometers. He did the same earlier in the year at the Yading SkyRace in China. For sure, Gurung is a contender for the podium and the win. Eirik Haugsness has had a quiet year so far and it’s difficult to know his current form? However, he did win the first edition of the race and knows the course well. Rolf Einar Jensen is also racing on local ground and made the Tromso podium in 2015. He was also in the mix in 2016 and he will make his presence felt this year I am sure. Like Haugsness he has local knowledge and course experience. Kiril Nikolov raced at Comapedrosa SkyRace last weekend and damaged his foot. At this stage, I am unsure if he will start the race and if he does, what impact last weekend will have on his performance. If he is fit and healthy, he will be in the mix for the top-10 and if he has a good day, top-5 is a distinct possibility. Kim Collison had injury issues earlier in the year and withdrew from Scenic 113k. He did toe the line at the Royal Gran Paradiso but just for a finish. With some solid training, Collison will be in the mix here in Tromso. He likes rough and gnarly terrain, he has pace, he can climb and descend and technical exposed ridges cause no problem for him – one to watch! 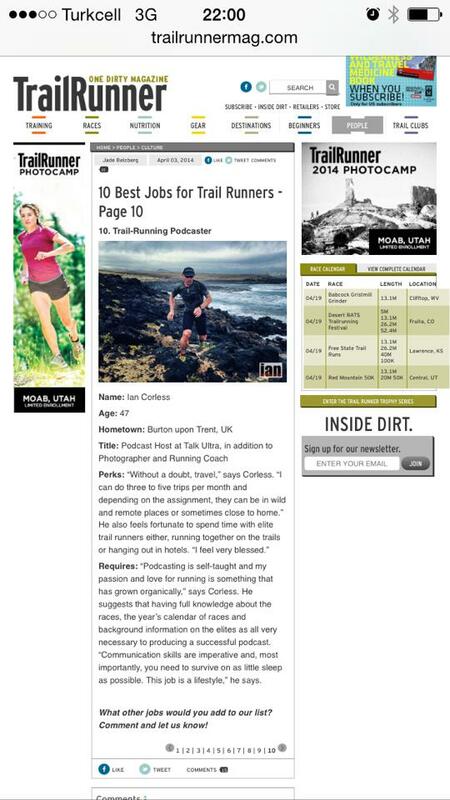 Hector Haines is having a good year having placed in the top-10 at Transvulcania and the Royal Gran Paradiso. Like Collison, Haines can handle the ‘UK’ like Tromso terrain and he will almost certainly be a contender at the front of the race. Michel Lanne is a great addition to the race and although he seems to have raced little in recent months, he loves mountain and technical terrain. He will almost certainly be a surprise addition to the elite men and quite rightly, his competitors should keep a keen eye on him – he has all the potential to win the race. In past years he has won Mont-Blanc 80km,Andorra Ultra Trail, 4th at Zegama and 5th at Trofeo Kima. Pere Aurell is racing strong this year and looked great at the recent Royal Gran Paradiso – he made the podium. He has had some RnR recently and that will bode well for a strong race. Matt Shyrock from the USA (Alaska) will be a dark horse in this field and to some of the Europeans may well be unknown. I am unsure if he has raced outside the USA and therefore how adapted he will be to the unique terrain Tromso offers. Having said that, Shyrock has excelled at the USA’s Rut (2nd and 3rd) and the climb and descent to Lone Peak does pose some similarities to Tromso. He has also placed 6th at Mt Marathon. Fabien Antolinos may well throw a few surprises at this year’s race. He is having a good year so far with a solid victory at Lavaredo. From a Skyrunning perspective he has raced well at High Trail Vanoise, this will put him in a great place for Tromso. Alexis Sevennec always races well on tough and challenging races. Kima, the Dolomites, Glen Coe – the transition and crossover from SkiMo puts him in a great place. He will be up there at the front. Leo Viret, Roger Vinas, Martin Gaffuri, Jose Carlos Del Toro, Paul Riera, Alexis Toda Mas, Bjorn Verduijn, Eric Moya, Marc Puig , Marc De Leon and Javier Bodas. The ladies race is without doubt going to be an interesting race and we see a return to Skyrunning for Nuria Picas and Emelie Forsberg (?) kicks off her 2017 campaign. Maite Maiora heads-up the female competition with victories at Zegama-Aizkorri, Livignio SkyRace and the recent Royal Gran Paradiso – she is on fire now and will be the one to beat. Megan Kimmel has equally been on fire with a victory in China at Yading SkyRace and victory in France at High Trail Vanoise. Last weekend Kimmel raced at Comapedrosa and had a below par performance not making the podium. She did comment post-race that longer races are suiting her now, so, the Tromso SkyRace should go well. However, the technical terrain may well interrupt Kimmel’s running form and speed. Ragna Debats goes from strength-to-strength and this year has joined Kimmel and Maiora with a string of strong performances. She can mix speed with technical terrain and this will bode well for a strong performance in Tromso. Emelie Forsberg will toe the line (*she is on the start list but may not run?) in her own race. Forsberg has been quiet in 2017 so far. She raced at Zegama-Aizkorri and was off the pace, she also did a road half-marathon but in the weeks and months between these races she has been focused on training – I think we will a fit and motivated Forsberg on the start line. For me, she is the potential winner of the race. *Emelie has confirmed she will run the VK and not the SkyRace. Nuria Picas on her day is still one of the best female mountain runners in the world. It’s been sometime since Picas toed the line in a Skyrunning race and I for one am happy to see her back. She races hard and will most definitely push Debats, Kimmel, Maiora and the other ladies for a fast race – we may well see a course record this year and victory could be Picas’! Hillary Allen is having an awesome summer racing in Europe. She consistently is in the mix at races of varying length be that the shorter classic distance or ultra. One thing that is important for the USA based runner is vertical and technical terrain – Tromso is not going to disappoint Allen and we may well see her have her best race so far. Malene Bikken Haukoy is an ever-present at the Tromso SkyRace and has been on the podium. She also excelled at Glen Coe last year with a strong performance. Racing on home ground is always an advantage and top-5 is likely. Japan’s Kaori Niwa was 8th at the 2016 UTMB maybe someone to watch as a dark horse. Both Blåmann Vertical Kilometer® and the Tromsø SkyRace® are capped for safety and environmental reasons. It’s an important element of running in such a stunning part of the world and they are both ecologically sustainable. Gnarly, grueling, technical, beautiful and challenging; Skyrunning goes EXTREME this weekend, don’t miss it!